The Ono from Onogawa Onsen was taken from the name of a Heian Period tanka poet, Ono no Komachi, who is famous in Japan as a symbol of a beautiful woman. 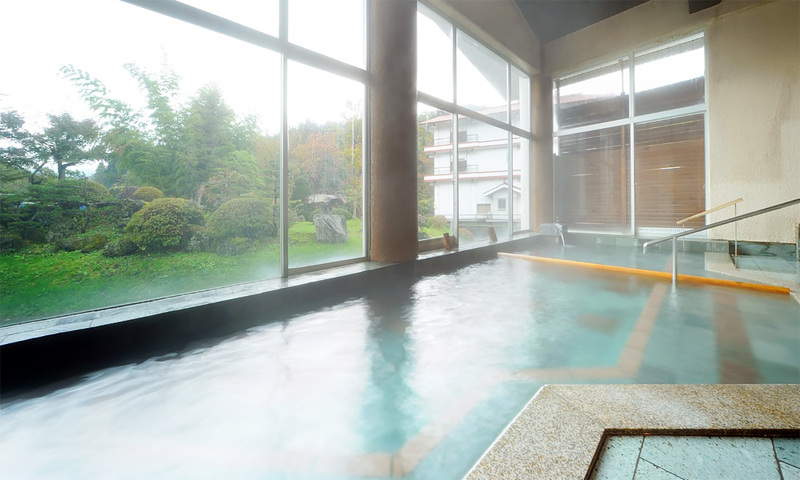 Legend says that in 834, Komachi was on her way from Kyoto to visit her dear father, when she fell ill and stopped to bathe at Onogawa Onsen. It is said that she not only made a full recovery, but also became a woman of unsurpassed beauty due to the power of the healing waters. 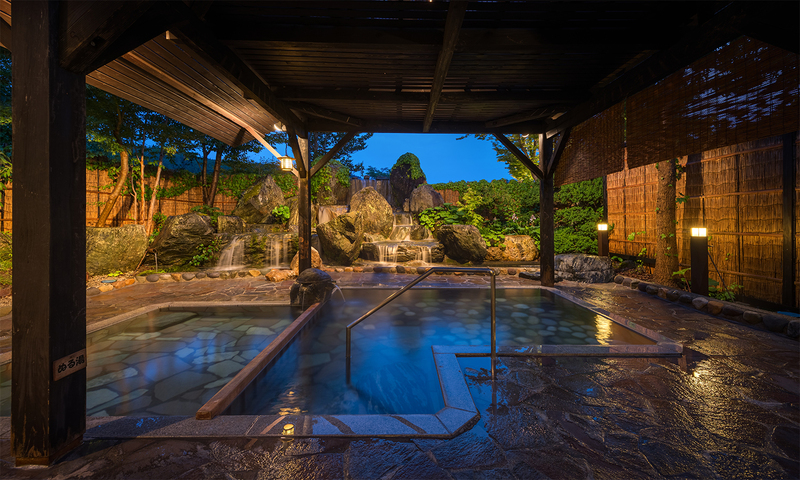 Other distinguished visitors who loved to bathe in the hot springs of Onogawa were Date Masamune the eldest son of Date Terumune, and Uesugi Yõzan. 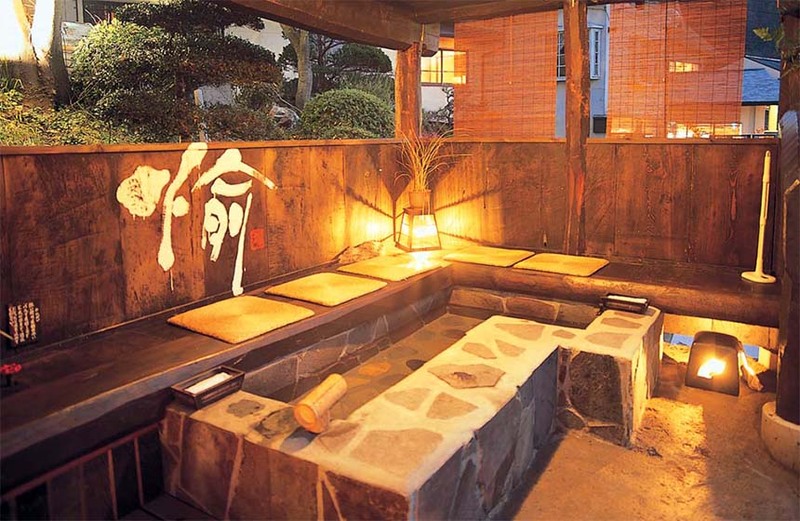 Sasaragi, where one can enjoy bathing in a circular indoor bath and an outdoor bath with a roof. There are still two entrances, harking back to former times when there was mixed bathing, and tiles layed one by one by an artisan which are pronounced remains of the Showa Era. 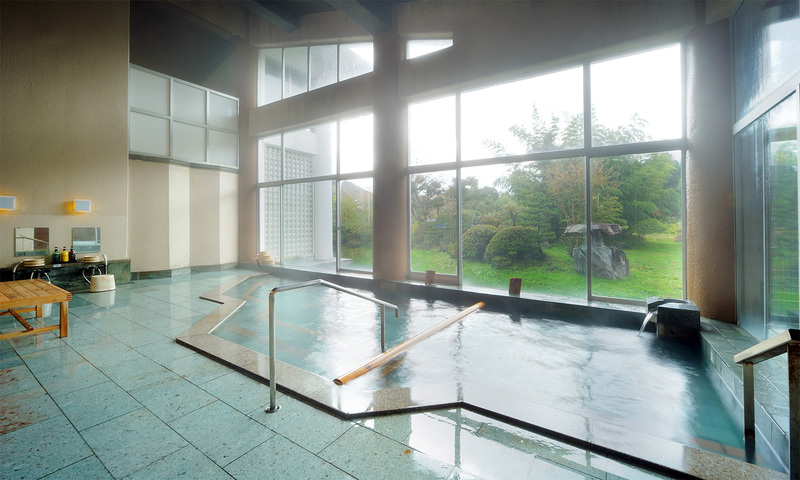 Asamidori, with it’s high, open ceiling and a large glass window, one can enjoy a beautiful view in every season. 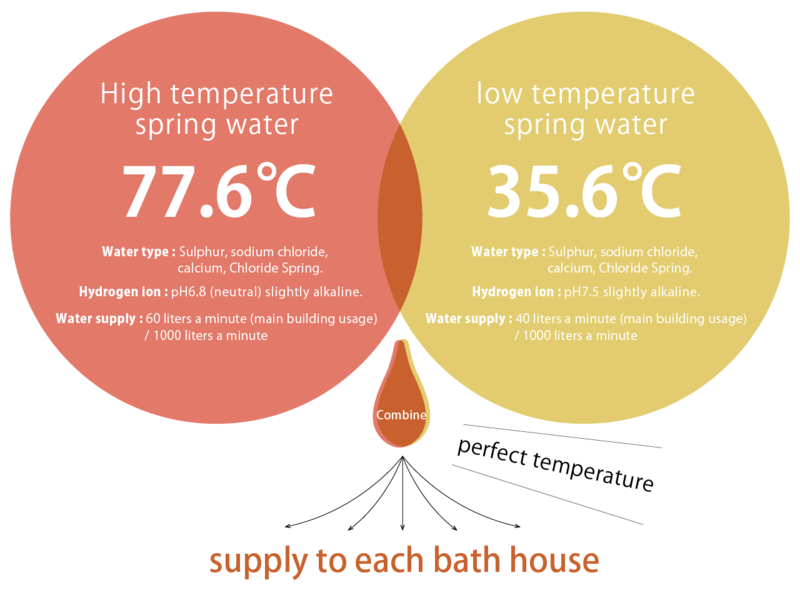 There are two indoor baths with different temperatures a Hot Bath and a Warm Bath. A private bath for up to 7 adults to relax in. Perfect for families with children for carefree bathing, or for those desiring privacy. Reservations taken on a first come first serve basis. Please enquire at reception. The foot bath adjacent to the main building is open to all. A place to drink the spring water has been established, as Onogawa spring water contains elements which are benificial for the digestive organs. The hot spring water is 100% natural and flowing. 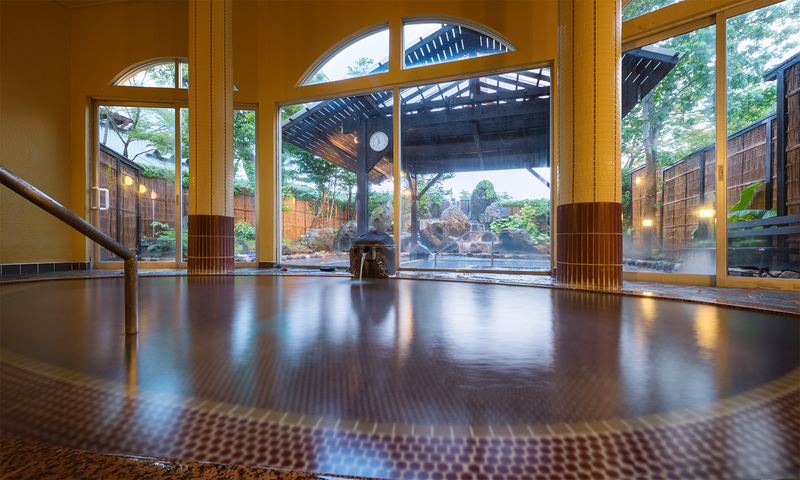 The hot spring water in the main building is 100% natural flowing water so it is never reheated or re-used. Most inns used to add cold water, due to the high temperature (80.3℃) at the source of the spring. 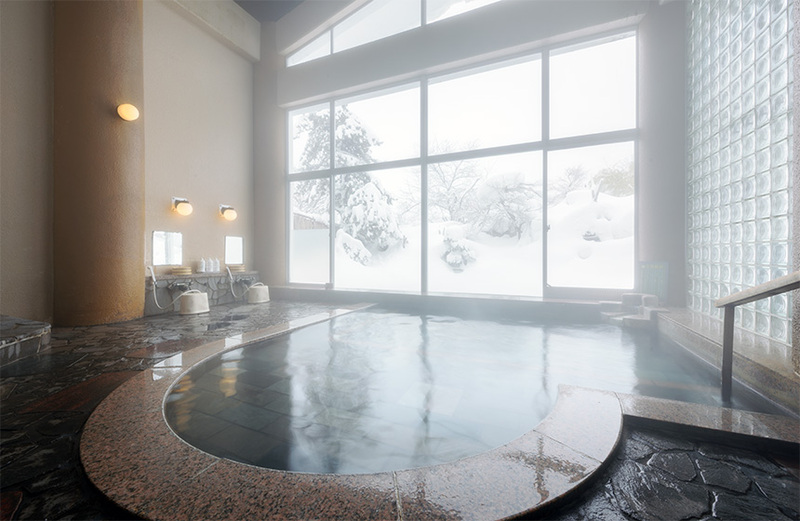 However, in 2008 the Onogawa Onsen association successfully drilled a new low temperature spring source, and so currently the high and low temperature spring waters are combined to create the perfect temperature for bathing. A special trait of the spring water at Onogawa Onsen is that when the water is exposed to the air a white mineral deposit in the shape of a flower appears. Sometimes these flowers can be seen in the bath tub, sometimes they float in the water, please understand this is a sign of a natural spring. This chloride spring water, containing sulphur (sodium, calcium) emits radiation due to naturally occurring radium. This low level radiation has been shown to be effective for relieving nerve pain. 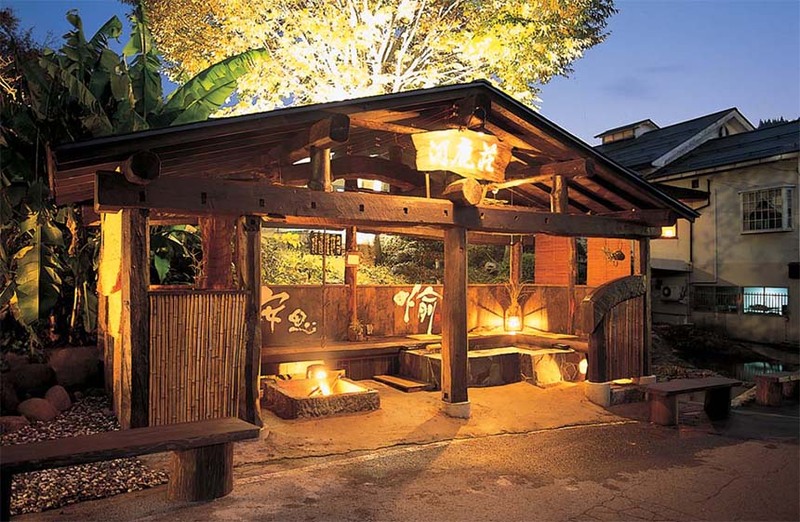 Also one can anticipate skin rejuvenation from sulphuric hot springs.